The first step is to meet with the pet sitter. This will ensure the pet sitter is a good fit for your pets. The pet sitter will ask detailed questions regarding your pets behavior, eating habits, medications, and types of exercise requested. We will review all the necessary paperwork you’ve filled out, transfer keys and tour your home. Your pets will have a chance to get acquainted with the pet sitter. Subsequent consultations are available at an additional cost. Away at work? Or just need to be gone during the daytime? 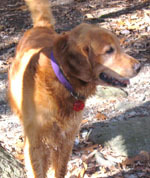 Berkshire Barks Pet Sitting provides Lunch Time Dog Walking. Dogs thrive on exercise and stimulation just as humans do. Exercise reduces the boredom and isolation that often leads to many dog behavioral problems. This is a great exercise and fun service for your dog when you cannot be home. Ever see a dog do a happy dance? That’s what your dogs will be doing when they see the pet sitter at the front door with leash in-hand! How often does a puppy need a break? The average puppy should not be left alone longer than 4 hours to avoid potential problems associated with being left alone for too long or annoying habits that will be hard to correct as the puppy gets older. Lots of playtime, hugs, fun and treats, if allowed! Many of these tasks you tend to daily without even thinking about it. If there are other tasks you need taken care of while you are away, don’t hesitate to ask. Please schedule adequate time to provide the services requested. If your pet or home needs more time scheduled, it will be provided as needed. I also care for small animals. For the well-being and comfort of your canine family when you will be gone longer than one night a minimum of three visits per day are required. The number of visits on the day you leave and return will be determined according to your travel schedule. Additional time per visit to allow for longer walks, additional pets or home services is billed in 15 minute increments. Cats are unique creatures and Berkshire Barks Pet Sitting knows how to handle their specific needs. Cat sitting services are tailored to fit the needs of your feline family. All the same services provided during a regular pet sitting visit except I stay in your home overnight with your pets. A combination of pet sitting and house sitting for added peace of mind when you travel. Includes an evening and morning walk, breakfast in the morning, and of course LOTS of TLC! One of the benefits of being a Berkshire Barks Pet Sitting client and keeping your keys on file is that you can call me in case you are ever locked out. I can pick-up and drop-off your keys, if leaving a spare key with me is not an option. This service cost is $25.00 per trip. Bring in mail and newspaper, water flowers and yard, and provide theft deterrent services including alternating lights and curtains. Holiday fee of 1.5 times the regular charge for service reserved on major holidays: New Year’s Eve, New Year’s Day, Easter Sunday, Memorial Day, July 4th, Labor Day, Thanksgiving, Christmas Eve, Christmas Day. *Disclosures: Rates will vary based on service area and/or multi-pet families. Beginning 10/1/08, a fuel surcharge for pet sits over 12 miles one way, or longer than 20 minutes, at $1.00 per mile may be added. Returned check fee is $25. Key pick-up/drop-off is a $25 fee.